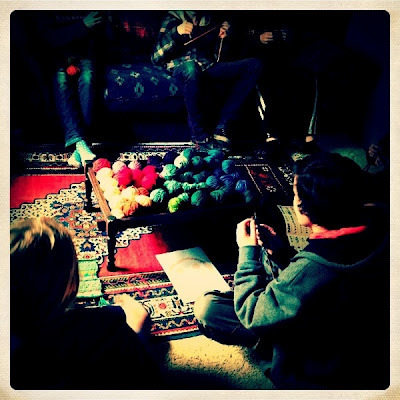 In Class 5 in Steiner/Waldorf schools in Australia, the children start crochet. (Rudolf Steiner actually indicated that it should begin in Class 2, but in Australia, we knit English style, with the yarn held in the right hand. 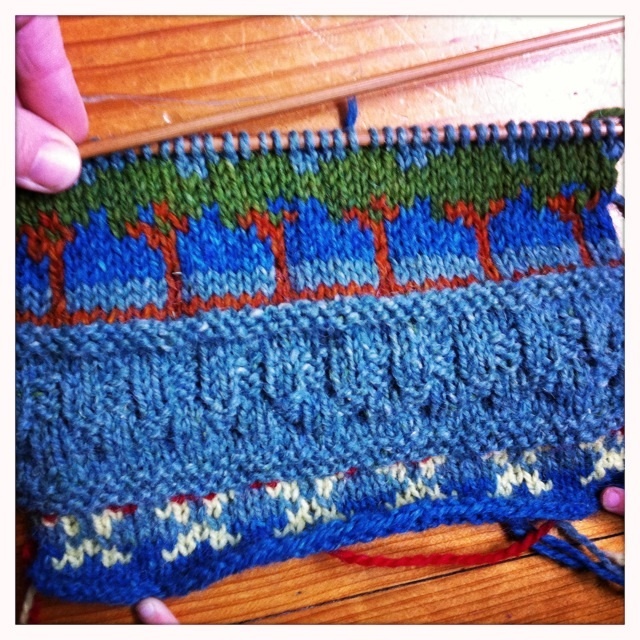 If you knit European style, with the yarn held in the left, transitioning to crochet is much easier. Therefore, in Australia, we wait until Class 5) After years of knitting, they are ready for a new challenge, and in my experience they really love it! They often make a bag, and in my daughter's case, a backpack for school. My daughter then decided to make a little one for her little brother! Sweet! 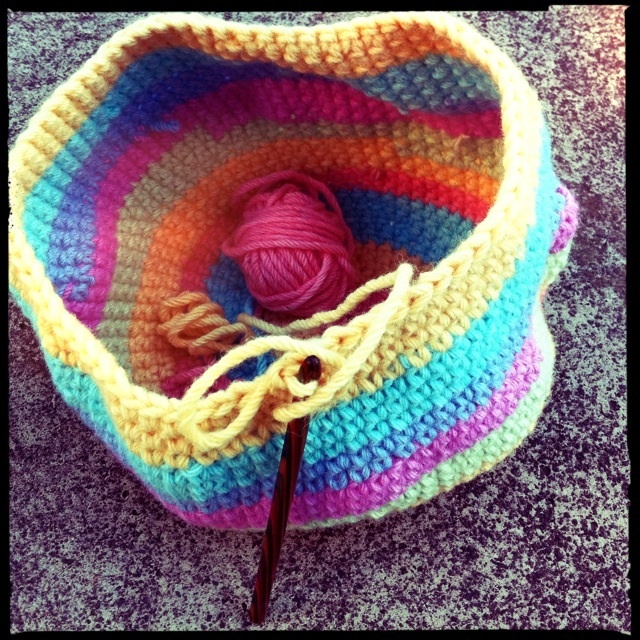 I've started another one in rainbow colours. Double crochet all the way with 16ply wool and a 7mm crochet hook. We have had busy hands around here, having launched a project involving sixteen 11/12 year olds and twenty-three skeins of Peace Fleece . we are making a blanket for a beloved teacher of six years, but sssshhhh, it's a secret. There's a bit of fair isle, intarsia and one colour patterns. Lovely! 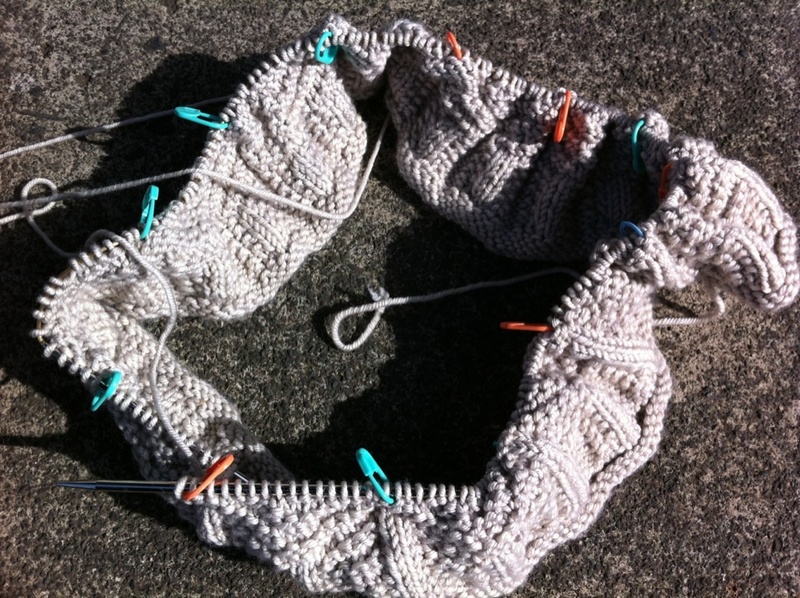 And on my needles is a special cowl just for me me me!!! And finally, I am very, very excited to have in my possession the newly released US edition of Melbourne writer Anna Branford's most splendid book, Violet Mackerel's Brilliant Plot!!! What I like about the illustrator for this edition, Elanna Allen, is the fact that there are loads of knitted stitches in her drawings! 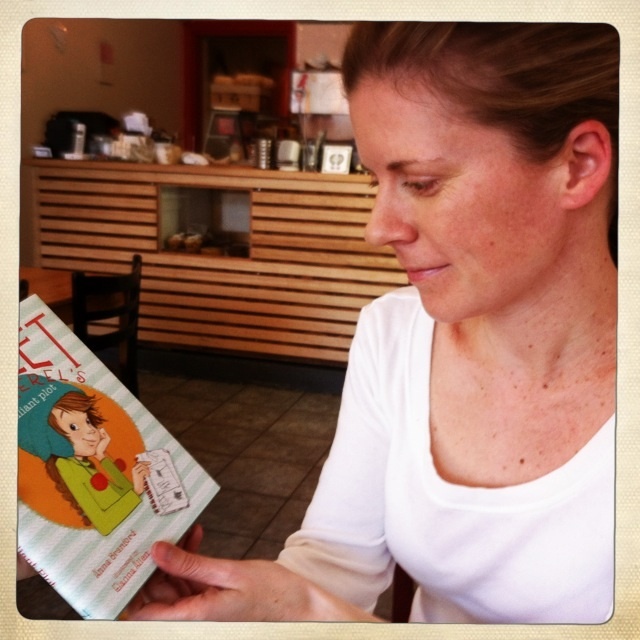 Here's Anna herself with the delightful little tome in hand! May many many American children enjoy discovering your delicious little free thinker, Violet! 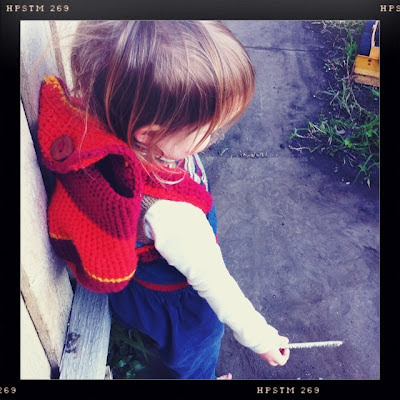 love this post, Jo, gorgeous knitting and very exciting about your friend, Anna's book.